Call your friends and family and make plans to come and celebrate all that is special about the Mercury Bay for this special Homecoming Weekend! 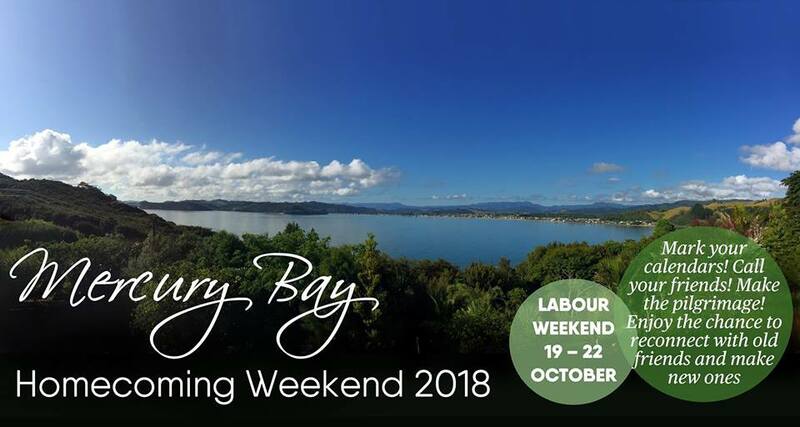 Mercury Bay Homecoming Weekend is a time to reconnect with old friends, retell classic stories and relive happy memories. Everyone welcome, bring your families and show off our beautiful area. Events are being planned for the weekend and will be updated by the Homecoming Weekend coordinators. For further information see Mercury Bay Homecoming Weekend facebook link at the bottom of this page.